Hulme Locks Junction is where the Hulme Locks Branch (to the right of the photo) meets the main line of the Bridgewater Canal. 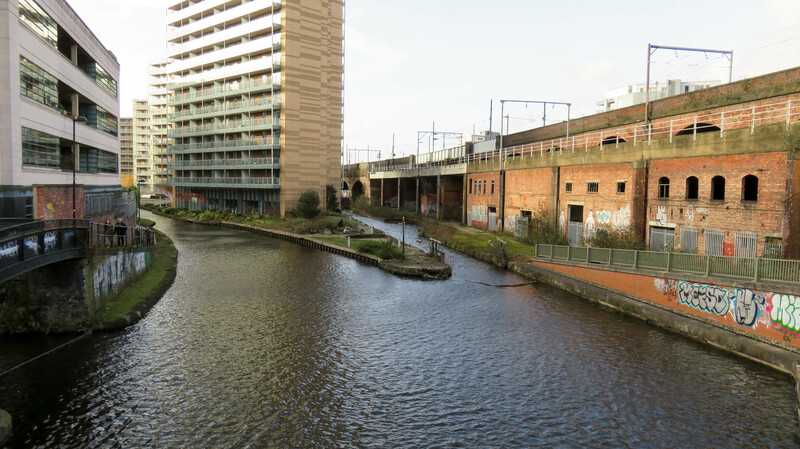 The Hulme Locks Branch once provided a link from the Bridgewater Canal to the River Irwell and the Manchester Ship Canal. It closed in 1995 when Pomona Lock was opened to provide an alternative link. We also dropped down Hulme Locks to access the Manchester Ship Canal and as I recall at the turn of the lock flight was the base for a barge company named Parkers ??? At the bottom of the locks on the River Irwell was a warehouse belonging to Lloyds where we often picked up barges. I was only 5 years old then but can recall those days and the great pies I was sent ashore for !!! A special treat was a trip in the evening to Hume Hippodrome.